In parts I, II, and III of this blog series we discussed the added benefits and technical details of incorporating brand preference throughout the brand building process. 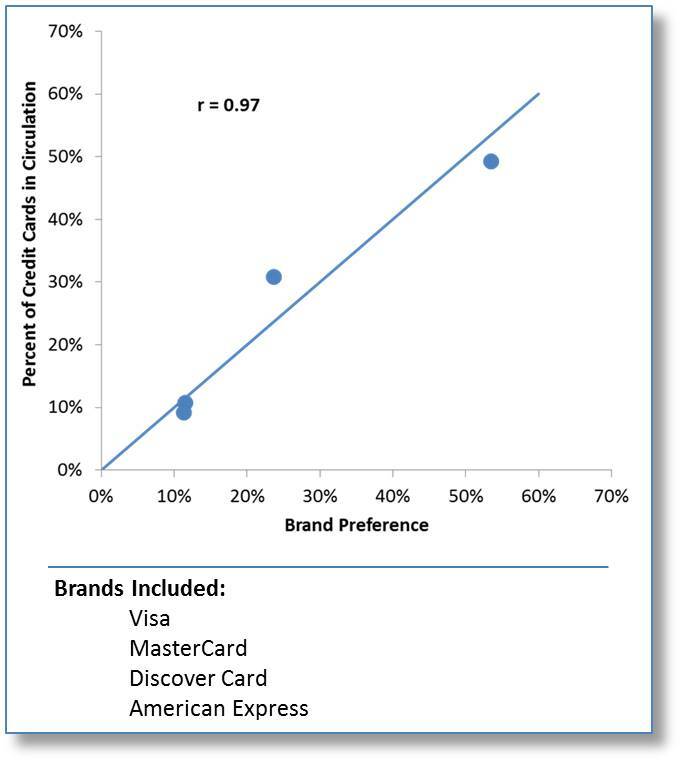 During this time we have received numerous requests for more details with the most common being of the form, “Are brand preferences important for my category?” Typically this question has come from brand stewards competing in categories where the products or services are either not bought on a recurring, individual basis, are not “bought” at all, or had dynamically changing competitive sets. So we wanted to take a brief moment to reiterate the breadth of category representation designed into the MASB BIV project and to provide examples from published cases demonstrating the importance of brand preference in other category types. The MASB-sponsored, multi-year longitudinal study was conducted with the cooperation of six blue chip corporations from a variety of industries including fast moving consumer goods, food, beverages, and autos. Each of these participants chose two categories to be included. The resulting twelve categories represented a wide variety of product types and market conditions. Individual unit prices ranged from under one dollar to over thirty thousand dollars. Some of the product categories lent themselves to spontaneous purchase while others required greater deliberation which could include third party influencers in the decision making process. Some of the categories were highly fragmented while others had only a small number of competing brands. Typical consumer purchase cycles could vary from a week to up to a decade. Despite these category differences, brand preferences were shown to be the strongest predictor of individual brand unit share both across and within the twelve categories examined. 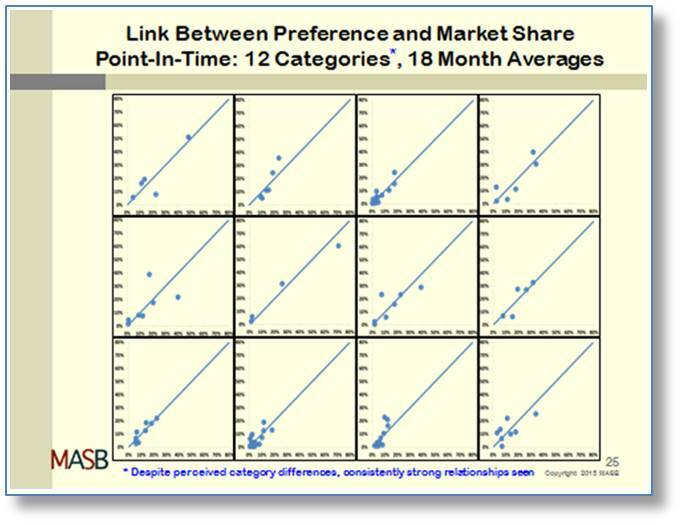 Unit share was chosen as the dependent variable for two reasons. One is that marketing is primarily focused on creating conscious (cognitive) and unconscious (affective) predispositions to choose the advertised brand over competitors. 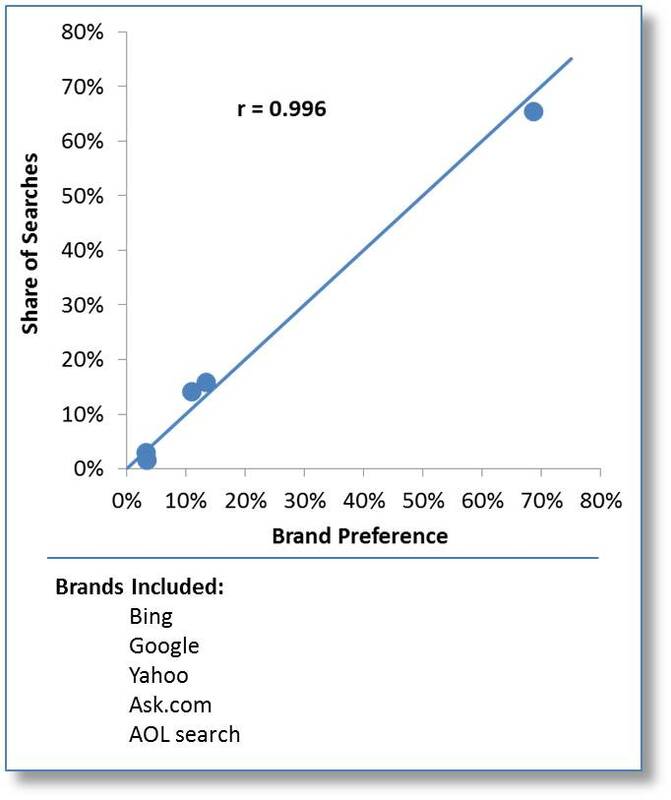 So for a measure of brand strength to be relevant it must explain the percent of choices allocated to the brand. The second, equally important reason is that for all of the categories included in the study units sold drive financial cash flow models. By combining an estimate of a brand’s unit share of market at a given price point and cost of production with assumptions of future category size based on population and category penetration trends, a projection of cash flow can be made. A discounted cash flow calculation can then be used to create a brand valuation. 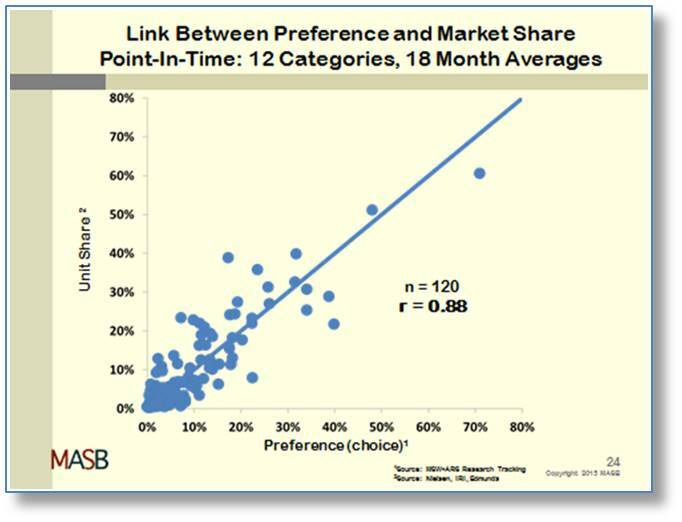 Hence, explaining unit share for these categories is fundamental to brand valuation. But there are other categories where the cash flows do not source from unit sales within a relatively stable competitive set. 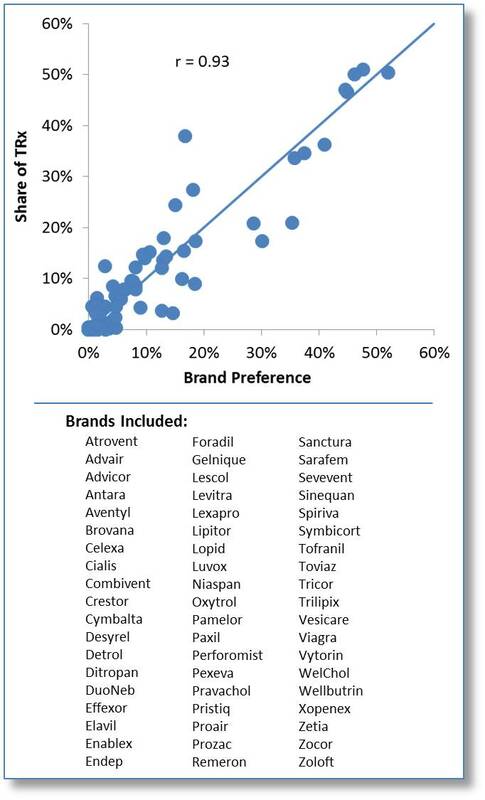 For these categories the dependent variable changes but the role of brand preference remains the same. Here are some examples drawn from previously published MSW•ARS studies. In our first example the service isn’t bought at all! When a person uses a search engine like Google or Bing they aren’t charged. Rather the revenue stream comes primarily from advertising revenue from the searches conducted. So the key variable to understand is the share of searches. Credit card networks are similar to search engines as the users don’t purchase them. Plus there is an added complication that the network (e.g. MasterCard, Visa, American Express, Discover) oftentimes shares the value proposition with partner brands in the cards issuance (e.g. financial institutions, retailers). But even with this complication brand preference for the networks themselves plays a key role in determining their share of the cards in circulation. For restaurants and retailers brand preference exerts itself in numbers of visitations and/or the amount purchased on each visit. Collectively this translates into receipts for products acquired through each brand’s outlets. 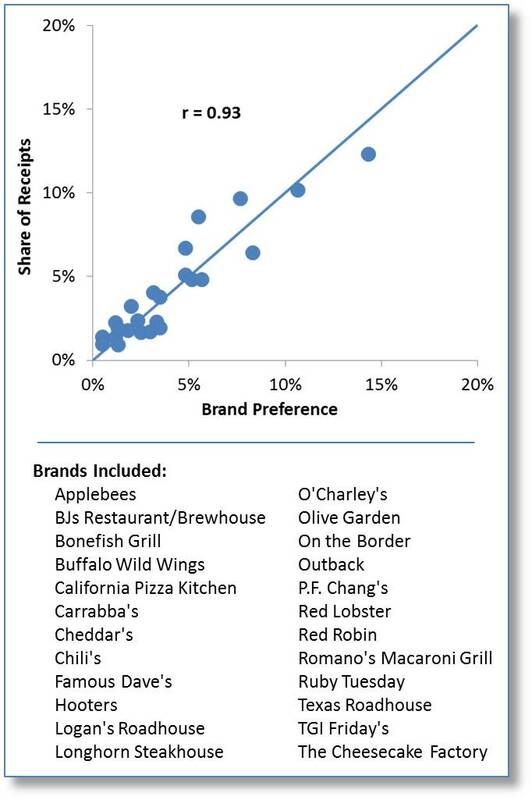 The following graph shows the relationship between brand preferences for casual dining restaurants and their percent of receipts captured. Pharmaceutical brands are unique in that the ultimate decision of which to use is necessarily made in partnership with an expert, their doctor. Still, patient brand preference plays an important role in the process as demonstrated by this meta-analysis comparing preferences for pharmaceutical brands for five afflictions to their corresponding share of prescriptions. Every subscription based service faces a moment-of-truth in which a customer’s decision to change to a competing service will likely lock the spurned brand out of that customer’s consideration for a period of time, sometimes several years. 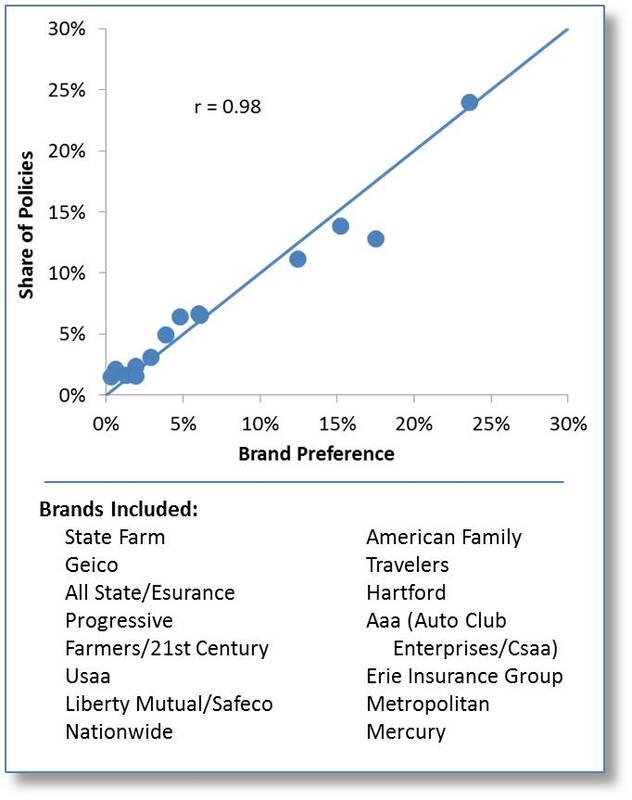 This makes consistently maintaining brand preference critical not only for growing share but combatting churn, as demonstrated by this chart of auto insurance brands. When it comes to movies, predicting opening weekend ticket sales is of paramount importance. But this is difficult given the constantly changing theater environment – each week the mix of competitors changes with up to one half being entirely new! 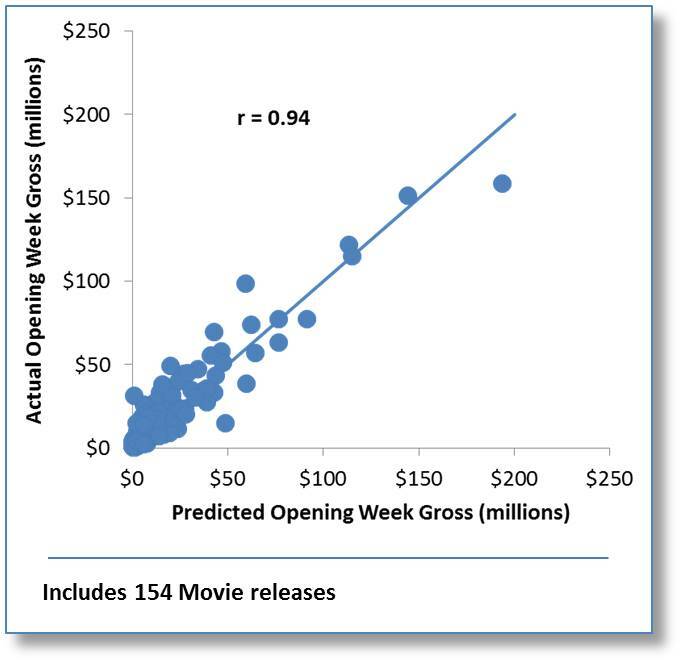 As a meta-analysis covering one hundred fifty three movie releases shows, not only is brand preference the most important single element for determining a new release’s share of a weekend’s total box office receipts, but when combined with other elements can accurately project weekend gross well before the opening! Please contact your MSW●ARS representative to learn more about how our brand preference approach has been integrated across our entire suite of solutions.